Our bumber stickers can be printed on a standard stok vinyl or a premium stock. Send us a sketch, tell us what you would like and tell us what portion would print in reverse and we will do the rest. 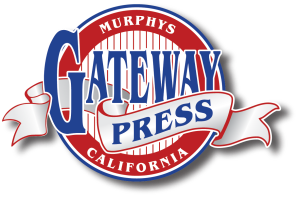 Use the cart on our catalog page for square or rectangle decals 1"x1" up to 18"x24". Larger sizes, circles, ovals or special die-cut shapes by special quote. 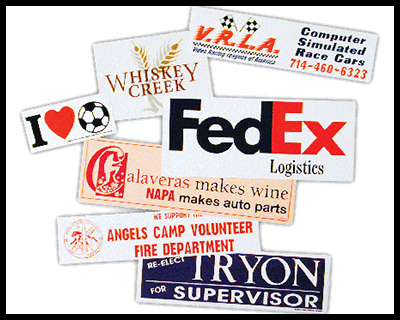 For decals with total square inches less than 6,000 see the specialty decals page.